If your weekend plans include stopping by Epcot for the Eat to the Beat Concerts that are part of the 2018 Epcot Food and Wine Festival, you might want to double-check the schedule. It seems that there’s been a change. Smash Mouth, which was scheduled to perform on October 13 and 14, has been replaced by Sister Hazel. Still plenty of opportunities to hear good music! 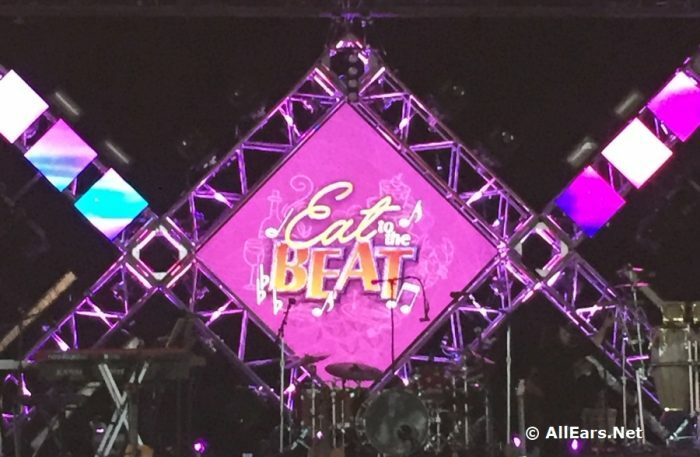 The Eat to the Beat Concerts are included with your Epcot admission. You can catch them three times nightly at America Gardens Theatre at 5:30, 6:45, and 8 p.m. for the remainder of the festival run, through November 12, 2018. And don’t forget — if there’s an act you really want to see, you can always book a reserved viewing area with the Eat to the Beat dining package.